Named “Sarasota, Florida's most important building” by Planning Edges, this 10 unit, 3 and 4 story mixed-use building frames the north side of Citrus Square and the west boundary of the Rosemary District. In 2011, Citrus Square was nationally recognized as the "best low-rise building” by Multi-Housing Magazine. HOYT Partner, Chris Gallagher was the project designer and project manager of Phase I of Citrus Square while with another architectural firm. 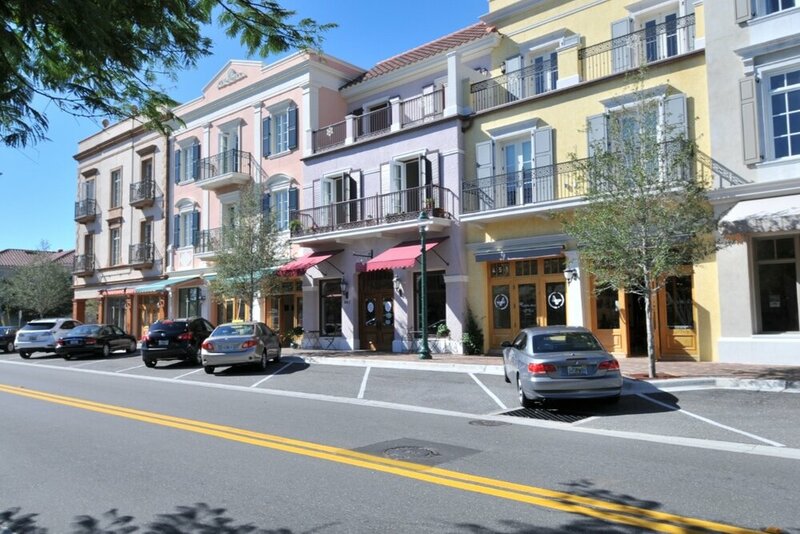 Citrus Square’s traditionally scaled facades were modeled after apartment buildings found along the coast of southern France – featuring first floor shops, canvas awnings, balconies, decorative metal railings, French doors, multi-paned windows, abundant moldings, and climbing bougainvillea. Phases II & III will capture the design spirit of Citrus Square, adding a new collection of facade designs, new unit plans, a Parisian style entry court, and a roof top pool.